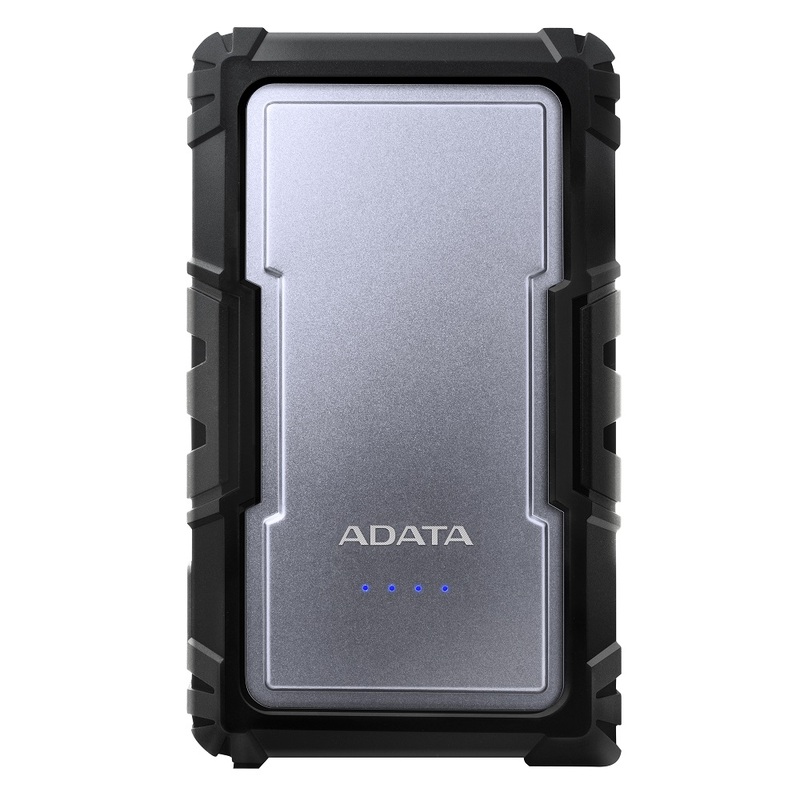 ADATA Technology, a leading manufacturer of high performance DRAM modules, NAND Flash products, and mobile accessories today launched the D16750 power bank. Designed for utmost endurance, the product features IP67 dust and water proofing plus enhanced shock resistance. While ADATA has produced durable power banks before, the D16750 signifies an initiative to add high capacity models to the segment, with LG premium cells packing 16750mAh. The D16750 goes beyond simple design, combining sandblasted aluminum and rugged silicone coating. It can recharge two devices at once and helps literally empower active, mobile, and diverse lifestyles. Releasing initially in silver, blue and green versions of the D16750 will launch at August. The D16750 has been carefully tested to IEC standards, attaining an IP67 rating. That means complete dust-tight protection against particle ingress and water proof operation in up to one meter of water for 30 minutes. The D16750 also uses a rugged multi-layered build with a metallic core and edges covered in extra-tough yet flexible silicone. From spills and drops at the office to heavy rains while hiking, the D16750 can handle a multitude of situations. With 16750mAh, users can recharge even the biggest smartphones up to five times with the D16750, which is also good for almost two full 10” tablet charges. As always, ADATA uses LG premium power cells and incorporates multiple protective circuits to ensure safety. The two USB ports output up to 3.4A combined, and smart device negotiation means the D16750 will recharge faster the emptier connected device batteries are. It further has sync charge/recharge, meaning it can be topped up while charging devices. This and the dual USB ports help save users time and cut down delays. ADATA makes it a point to avoid power banks that are just tools for recharging devices, investing time and effort in stylish yet ergonomic and practical designs. The D16750 is no exception, with its core consisting of attractive sandblasted aluminum, which is then wrapped in tough but pleasant and handy to carry silicone. The D16750 gives off a sense of elegant strength, as intended by its designers. For extra utility, it incorporates an LED flashlight – a popular feature that proves extremely useful in outdoors scenarios.